Home Politics ENUGU STATE GUBER POLLS: UDP’s Candidate Withdraws Case Against Ugwuanyi, Congratulates Him On His Election Victory. ENUGU STATE GUBER POLLS: UDP’s Candidate Withdraws Case Against Ugwuanyi, Congratulates Him On His Election Victory. 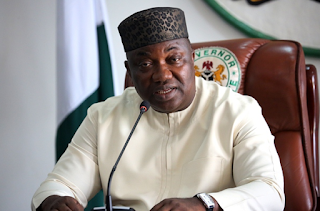 The governorship candidate of the United Democratic Party, UDP, in the 2019 Governorship election the state, Pastor Donatus Madubuike Ozoemena, has congratulated the winner of that election, Governor Ifeanyi Ugwuanyi on his re-election, declaring his “full support” for his administration. Addressing newsmen when he paid a congratulatory visit to Gov. 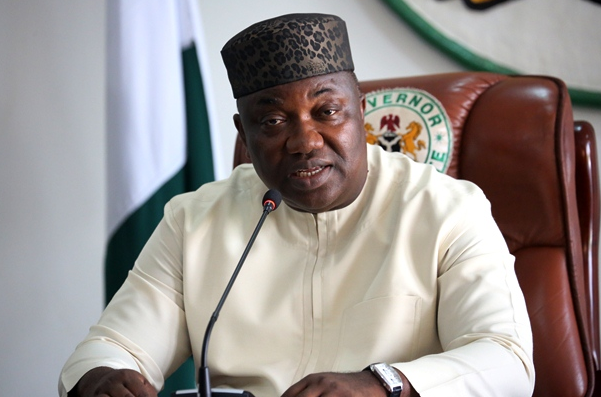 Ugwuanyi at the Government House, Enugu on Monday, Pastor Ozoemena, who was reported to have instituted a legal action against the outcome of the governorship election in the state, disclosed that “I have instructed my Legal Team to discontinue the matter at the Election Tribunal with a view to working hand-in-hand with our governor for the benefit of the people of Enugu State”. The UDP governorship candidate added that his decision was based on “the governor’s art of sportsmanship” and his belief that “our present Governor, Rt. Hon. Ifeanyi Lawrence Ugwuanyi is someone you can also trust”. According to him, “Enugu State must continue to progress. So, I Pastor Donatus Madubuike Ozoemena, hereby offer my full support to the government led by our amiable Governor, His Excellency, Governor Ifeanyi Ugwuanyi, the Gburus”. It would be recalled that the leadership of the party (UDP) recently joined the league of over 70 political parties that have congratulated Gov. Ugwuanyi on his resounding victory at the polls and described the election as “peaceful, free, fair and credible”. The state chairman of UDP, Prince Jideofor Ngene, was reported to have addressed pressmen and stated that “the party after its resolution decided to support Gov. Ifeanyi Ugwuanyi in his good governance to lift Enugu state to a greater height” and “ensure continuous existence of peace in the state”.